When car shopping, you’re bombarded with choices. Like choosing between buying new or used. If buying used, how used? Is something that’s certified pre-owned worth looking into? This new report from iSeeCars might make the decision a little easier for you. One of the benefits of buying a new car is that it comes with warranty and a clean vehicle history. Problem is, new cars are more expensive than used cars. That’s why buyers sometimes look for CPO cars. These are more gently used cars that have gone through rigorous manufacturer inspection and usually come with a longer warranty and other incentives at a premium. Yes, CPO cars are more expensive than their equivalent non-CPO cars, but maybe you’ll decide that the benefits outweigh the cost. iSeeCars analyzed over a million used cars from the 2015 model year to find out the CPO premium: how costs between CPO cars and their non-CPO used equivalents differ. On average, according to the company, CPO cars cost 3.6 percent more than the non-CPO ones. Of course, that’s just the average. Actual costs can be higher or lower. These are the 10 cars with the lowest CPO premiums. 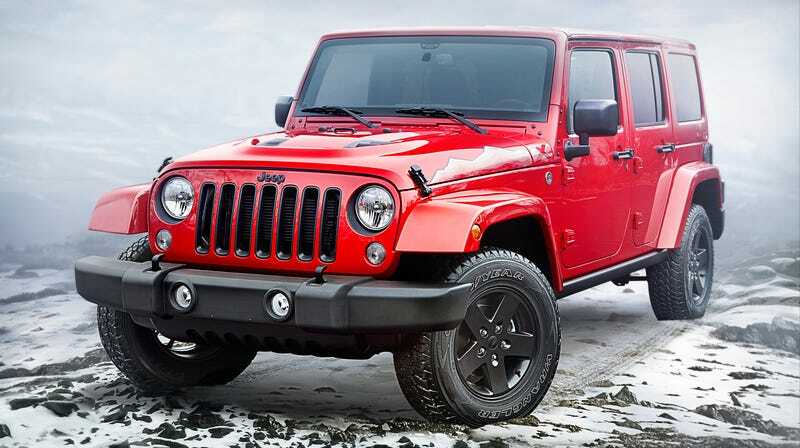 Lowest overall was the Jeep Wrangler Unlimited, which works out to an average of $523 over a non-CPO car. Jeep, according to iSeeCars, offers a program that gives buyers the remainder of the original powertrain and extended warranties, plus a comprehensive three-month or 3,000-mile warranty that starts when the CPO car is purchased or after the Basic New Warranty expires. Next up are the cars with the highest CPO premiums. Coming in at the top is a Lexus IS250 with a 7.9 percent average premium over its non-CPO equivalent. This is because the CPO program that Lexus offers is apparently considered one of the best in the luxury segment. It offers a six-year limited comprehensive coverage with no mileage limit and four free maintenance services. In terms of light-duty pickup trucks, the Chevy Silverado 1500 nabs the top spot with a low 1.9 percent premium. For SUVs, iSeeCars found that the BMW X1 had the highest premium. And for sports cars, the Chevy Corvette had the lowest premium. This is likely because a used Corvette is still rather expensive. It averages about $51,500. You can take a look at iSeeCars’s full study here. And be sure to do your research when buying cars. A little more time calling around and reading up on things could save you a few thousand dollars and headache.